So I recently spent a fun morning at Bounce in Fourways working up a sweat – did you know they do epic trampoline workout classes – seriously, like aerobics on steroids – and getting to hang out with the beautiful and bubbly Khanyi Mbau, and finding out more about Slimatone – that Khanyi swears by. For those of you who may not know who Khanyi is – besides being a Slimatone brand ambassador goes by the full name of Khanyisile Mbau and is a South African television host, actress, singer and radio personality. She has acted in a variety of popular South African soapies, including Muvhango, Mzansi and Ekhasi. She is currently working on the latest Leon Schuster movie which is due for release in 2018 and plays a game ranger in the movie. For those of us who have hectic schedules – although I doubt mine is anywhere near as hectic as Khanyi’s – Slimatone is here to help. 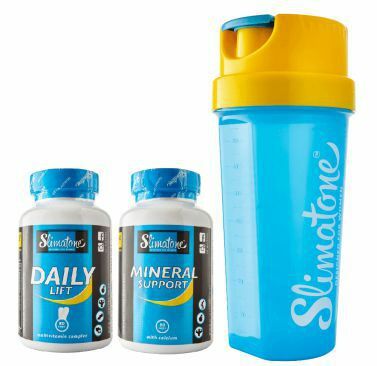 Relatively newly launched, Slimatone have just launched their new shakes, which make great meal replacements when you are the go, and come in two flavours – Strawberry and Caramel. This adds to their already impressive range of all natural products, developed with women in mind. From “Shredder” that helps you cut fat rapidly, as well as Fibre Support, a daily boost vitamin, Snooze – that helps you get to sleep at night, especially if it’s been a stressful day and you have an early start planned. They also offer a variety of workout plans and diet tips – and I am looking forward to getting more of my “health” on with Slimatone. 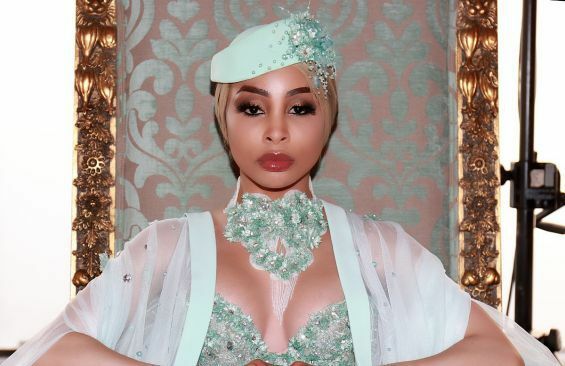 I will be chatting with Khanyi about Slimatone, her latest acting role and why she is now known as “MbauReloaded” on social media – and loads more. Podcast will be up at 10h00 on Tuesday 21st November HERE and you will be able to listen in at any time after that! Previous Post Are you ready to witness the....Illusionists? Next Post Maslow's Social Sunday is back this weekend!